What is Catholicism? A 2,000-year-old living tradition? A worldview? A way of life? A relationship? A mystery? In Catholicism Father Robert Barron examines all these questions and more, seeking to capture the body, heart and mind of the Catholic faith. 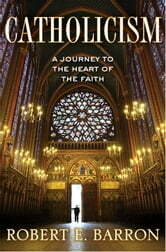 Starting from the essential foundation of Jesus Christ’s incarnation, life, and teaching, Father Barron moves through the defining elements of Catholicism--from sacraments, worship, and prayer, to Mary, the Apostles, and Saints, to grace, salvation, heaven, and hell--using his distinct and dynamic grasp of art, literature, architecture, personal stories, Scripture, theology, philosophy, and history to present the Church to the world. 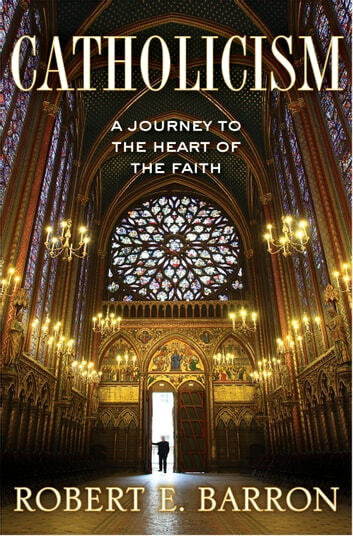 Paired with his documentary film series of the same title, Catholicism is an intimate journey, capturing “The Catholic Thing” in all its depth and beauty. Eclectic, unique, and inspiring, Father Barron brings the faith to life for a new generation, in a style that is both faithful to timeless truths, while simultaneously speaking in the language of contemporary life.